So I dove into the Twitter API docs and found the pages on creating friendships and reading list members. I then looked at rest_client’s documentation to see how best to manage the basic auth login, etc and decided to use RestClient::Resource, since it stores some of the config data for you., even though it makes things more complicatted due to needing two separate resources — one for api.twitter.com and one for twitter.com. It took me ten minutes or so to put it together and test to make sure I didn’t make any stupid mistakes. Cool? 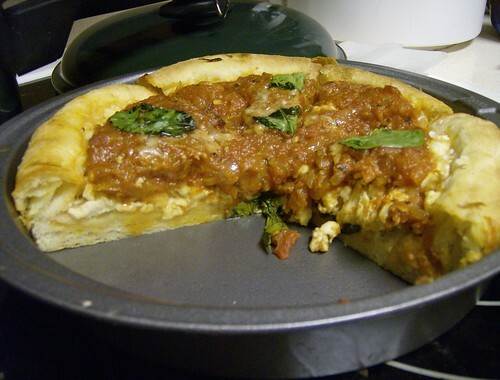 While I was home for Christmas & New Years I cooked up some tasty stuff. 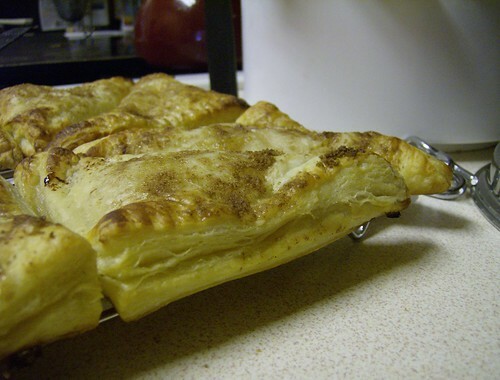 Apple Turnovers — Again a Cooks Illustrated recipe, this time from the America’s Test Kitchen Family Cookbook. 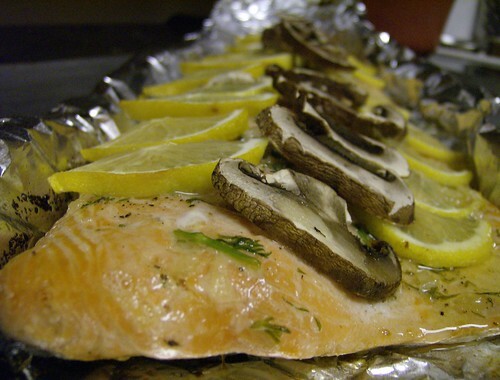 Broiled Salmon — I don’t remember, but I think this mostly came from the America’s Test Kitchen Cookbook, except the mushrooms. 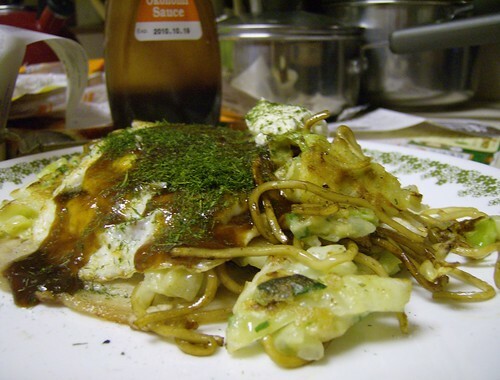 Okonomiyaki(wiki), Hiroshima style(お好み焼き) — Hiroshima style means it has ramen and a fried egg.